There is only one country in the world where the most popular drink isn’t Coca-Cola, according to one rather cheeky and controversial tweet from a rival brand. Barr’s Irn Bru tweeted a graphic that depicts the global dominance of Coca-Cola, showing that Scotland was the only country where the soft drinks brand didn’t hold the number one spot for beverage sales. For Scotland is shown to be stubbornly true blue – instead favouring the ginger coloured Irn-Bru. The graphic was tweeted by OnlMaps and then retweeted by the company that makes the drink, Barr, with a single sassy emoji. But the accuracy of the map could quite easily be questioned. Coca-Cola is certainly not made in communist North Korea or Cuba, for example, under long-term US trade embargoes. The new map comes after Scots were left reeling by shocking new research claiming to show that the origins of Irn-Bru began in the USA. 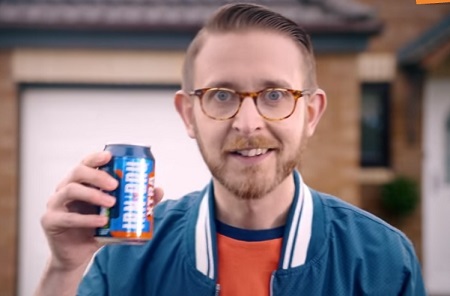 Irn-Bru fans have since liked the post more than 45,000 times.